Sinusitis is an illness that can be tough to get rid of. Common symptoms include nasal congestion, nasal discharge, facial pressure, and a cough. Basically, these are the same symptoms as a cold or hay fever, but more severe and extremely difficult to get eradicate. When you have this illness, it interrupts the normal drainage of mucus. This disruption is almost always accompanied by infection and pressure in the sinuses. 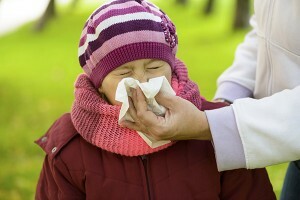 In many cases, sinusitis (also known as rhinosinusitis) does in fact begin as a common cold. When a bacterial infection in the mucus membrane develops, this common cold becomes sinusitis. As mentioned in the symptoms above, this can lead to uncomfortable pressure in the cheeks, head, or nasal and ocular sockets. When left untreated, or left to turn into chronic sinusitis, this illness can make your life miserable. If you have experienced these symptoms, contact AAIR of Charlotte. We can help treat your ailments and get you back on your feet. Just as important, we know how to offset the likelihood that a cold turns into sinusitis, particularly among those that have asthma or allergies. Relief is coming. See AAIR of Charlotte today before this infection makes you feel unhappy and miserable.